Here’s a bargain-priced fruity red wine that’s easy-going and really enjoyable. 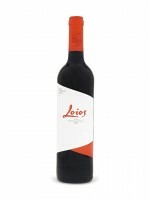 Made in the typical style for the Alentejo region in southern Portugal, it’s a blend of Aragones (Tempranillo), Trincadeira and Castelao, without any influence of oak barrels. The result is a nicely balanced red with a smooth texture that’s a great candidate for entertaining around the barbecue. This was one of the top-scoring value winners at the 2017-18 InterVin International Wine Awards competition where it earned a Gold Medal.